Should we be breed chauvinists? Countless morphological variations of dogs exist, and there are extreme differences between breeds as regards both appearance and behaviour. Breed-specific behavioural differences have aided selective breeding for different tasks. Such qualities can be retrieving, pointing, flushing, herding and guarding. Working dogs can be divided into two categories. The first includes breeds which were selected from the available population over generations in order to achieve and fix an outstanding trait, which developed new characteristics that contributed in large measure to better performance and accomplishing a function at an ever higher standard. Examples of such inherited and reinforced forms of behaviour are herding and hunting. The other category contains breeds which were picked from the breeds in the first category and trained to carry out certain non-natural tasks which are not inherited skills. For instance, dogs which detect bombs, rescue dogs and guide dogs. The existing abilities of these dogs did not develop but remained while developing a new, positive quality. Defining breeds used to be based entirely on phenotypic traits and they were described purely according to outward features. Today, behaviour is a characteristic which has at least the same weight in developing the nature of and breeding a breed because suitability for the task is vital. As a result of conscious selection, many breeds lost their original function and only the working lines have retained abilities such as hunting or herding, while other breeds were given entirely new tasks that forced their original functions into the background or made them disappear completely. Only a few breeds have been kept in a state that is close to their original purpose, at least as regards work. Thanks to the practice of keeping well-trained house dogs, fashions and trends, nowadays ordinary dog owners choose work and sport for their dogs considering not only the breed but also the individual. For that reason, people working with dogs that have been selected specifically for a particular task sometimes kick up a fuss expressing their displeasure that it is not only possible but essential to be a breed chauvinist. However, the topic isn’t that simple as there’s another side to the coin as well. It is certain that it is not worth experimenting for anyone wishing to choose a dog for a particular job, sport or task because certain breed-specific traits were fixed and reinforced due to selection, which can be exploited excellently when handled in a focused way. 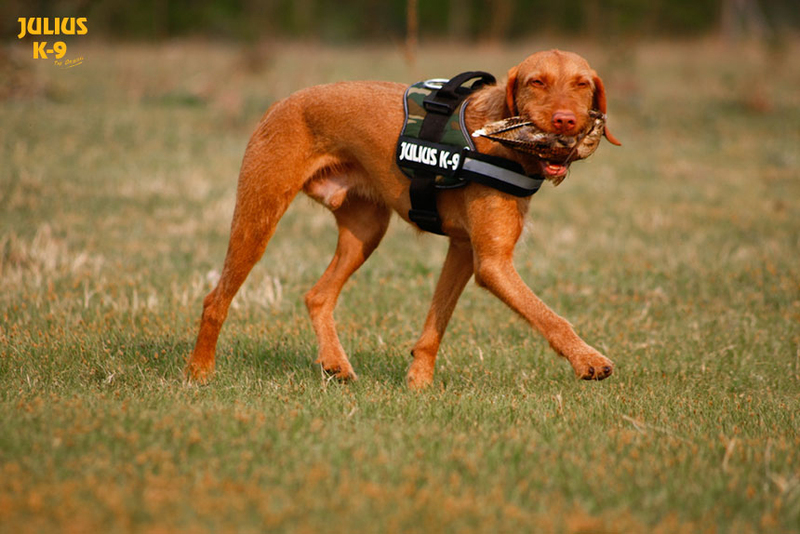 So if someone wants a brilliant hunting dog and needs the dog to point and then retrieve the game, they should not choose a pit bull terrier instead of a Hungarian vizsla because, no matter how well trained the pit bull is, it will never perform as well and work as effectively as a breed that does the job instinctively. If, however, a dog owner wishes to try a particular sport which the dog seems interested in, there is no reason for not having a go after proper training. It is quite possible that the dog will be good at it and like doing it, but there’s also a chance that things won’t go well. The point is that we should find out what our dog’s favourite pastime is without having any special expectations. There are plenty of examples and counterexamples from a therapeutic German pointer and a westie doing an agility competition to a cocker spaniel herding. Nevertheless, in my view it is worth being a breed chauvinist up to a certain point. The development of breed-specific traits ought to be respected. Their survival should be promoted by selection and conscious breeding, while people need to be motivated to choose the right breed. Furthermore, it should be insisted on that breeds bred for a specific job are not selected for looks and that their original function is not lost in favour of a newly taught behaviour pattern. Should I Have My Dog Neutered? Should Your Dog Be Allowed in Your Bed?